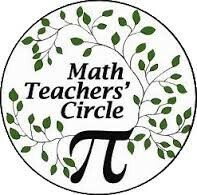 Math Teachers’ Circles (mathteacherscircle.org) provide an opportunity for teachers to enrich their own knowledge and experience, while building long-term, meaningful partnerships with other teachers and mathematicians. Join us for regular sessions with professional development communities to work on rich mathematics problems. Enjoy dinner while you’re at it – food will be provided! All ability and comfort levels are welcome.